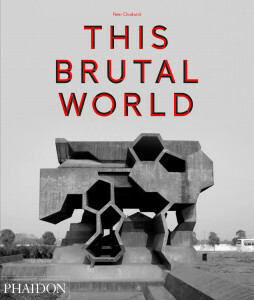 A curated collection of some of the most powerful and awe-inspiring Brutalist architecture ever built This Brutal World is a global survey of this compelling and much-admired style of architecture. It brings to light virtually unknown Brutalist architectural treasures from across the former eastern bloc and other far flung parts of the world. Peter Chadwick is a London-based art director and graphic designer. Peter studied design at the Chelsea School of Art, emerging at a time when the worlds of music, fashion and graphic design became inextricably linked, and went on to work at Creation Records (the most successful independent record label of the 90s) where he designed for chart-topping bands including Primal Scream and Spiritualized. After setting up his own studio, Zip Design, in 1996, he masterminded campaigns for major artists such as Groove Armada, Girls Aloud, Fatboy Slim, dance-music brands Cream, Bugged Out and Hed Kandi. Peter is also the author of the popular This Brutal House twitter account (@BrutalHouse) and is a super-fan of Brutalism.